KL Kris Food Industries Sdn. Bhd. We do produce Cocoa Mass in Natural or Alkalized Flavour. Cocoa liquor is pure cocoa mass in solid or semi-solid form. Like the cocoa beans (nibs) from which it is produced, it contains both cocoa solids and cocoa butter in roughly equal proportion. 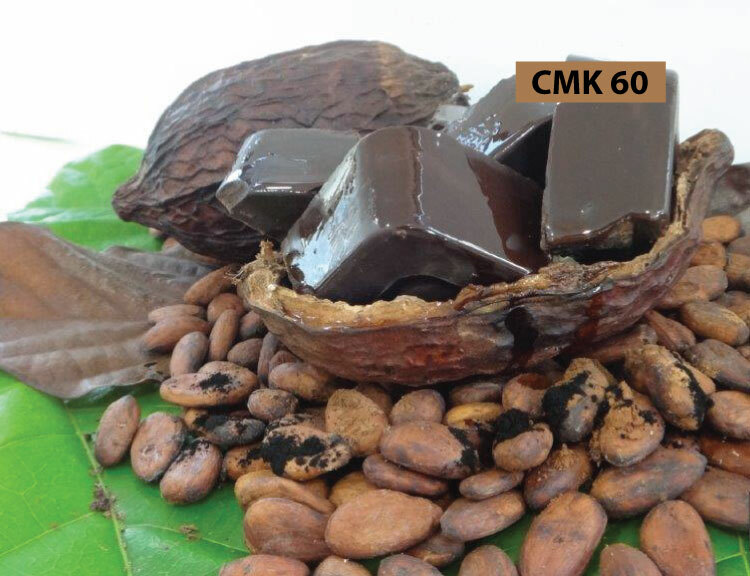 It is produced from cocoa beans that have been fermented, dried, roasted, and separated from their skins or alkalzed using patassium solution to obtain the required flavour. The beans are ground into cocoa mass (cocoa paste). The mass is melted to become the liquor, and the liquor is either separated into cocoa solids and cocoa butter, or cooled and moulded into blocks. Its main use is in making chocolate. 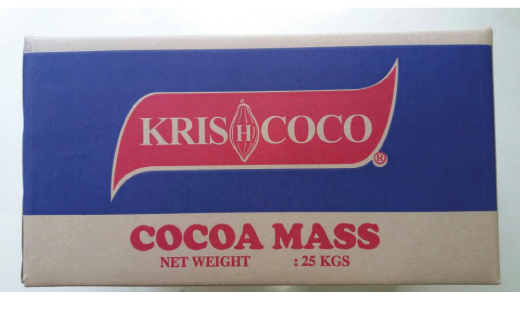 We have 2 type of Cocoa Mass which are Natural Cocoa Mass and Alkalized Cocoa Mass. 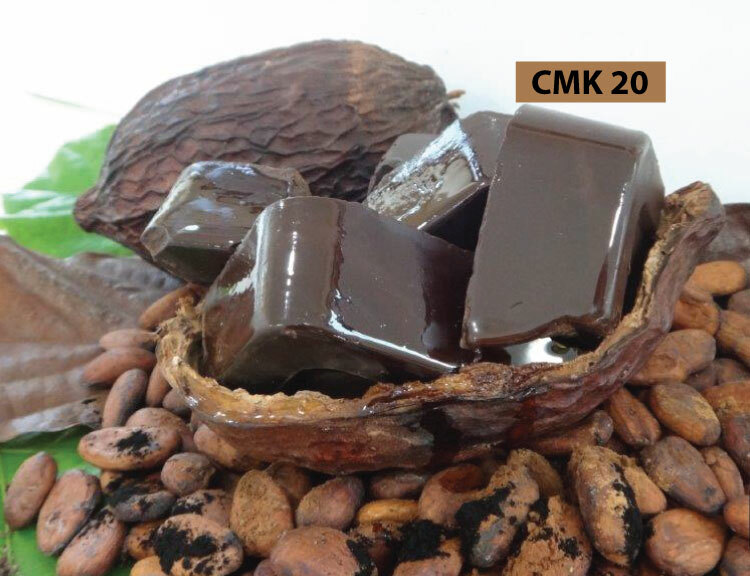 You can take a look at our specification table for Natural Cocoa Mass (CMK20) and Alkalized Cocoa Mass (CMK60). RH : <60% in clean, dry, well ventilated storage, away from sunlight and free from strong odors. 24 months from date of manufacture, keeping in original packaging and under optimum storage conditions. Subject to liner and port regulation. Boxes will be labelled with product type, production code / Batch number, net weight, production date and use by date. The product is produced from Non-GMO materials, with steam sterilization and processed in accordance to Good Manufacturing Practice (GMP) & HACCP food safety control. It is edible and fit for human consumption. K.L. Kris Food Industries Sdn. Bhd. Lot 1-23 Jalan Perindustrian Mahkota 2, Kawasan Perindustrian Mahkota, 43700 Beranang, Selangor Darul Ehsan, Malaysia.